Raw Love Café is the manifestation of a dream to share healthy food with the world. With a menu based on raw vegan dishes, the intention is to nourish and inspire people by giving them the experience of eating healthy food that is truly delicious and satisfying. Its creators, Adan Messineo, Nikki Vascimini, and their two-year-old daughter Azuri, know that love must be at the base of every dish when creating in the kitchen of life. 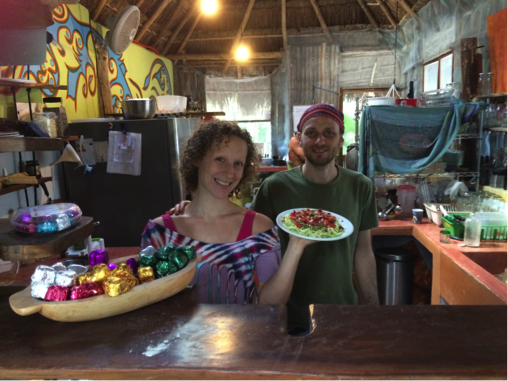 Owners of the #1 Trip Advisor rated restaurant in all of Tulum, Adan, Nikki and Azuri are integral and inspirational parts of our Life Source Retreats experience and family.